And hidden away safe in a cupboard are a whole another part of our story - my JYC albums. It was only when we were moving and I packed them up that it became apparent how these albums are so much more than a singular story of Christmas, it also chronicles the change in our live, the change in the way I scrapbook and the way I record our lives. Those which are not aware, in the scrapbooking world there is lots of talk as we run into Christmas. How will you record your Christmas? It might even be a slight obsession. And I love with all my Christmas-glittery-magic-fueled-heart the awesome daily inspiration, ideas and general Christmas magic that Shimelle delivers to my inbox - Journal Your Christmas focuses on YOU reclaiming your Christmas magic - she does this by encouraging you to write, record and remember all the things which make Christmas special to you. I have taken part in this process in various ways for nearly 6 years now ( I think) and now looking back at all the ways in which I have done this do I realise just how important this is to me. My first albums which were lovingly worked on, worried about and fretted over. These chronicled my love of Christmas, saw the story of me and my then boyfriend, how we have made things work for us - living in our first home and celebrating Christmas how we wanted and not how our parents did it. These albums then recorded the change in pace as a pregnant lady, then holding a baby (nearly 1 year old), to getting engaged, to being married and then having two boys. Thumbing through these albums and viewing our pictures. Reading these stories, seeing the things which were important to me then, the things I picked to remember, the notes I made. This hammered home the reason why I take the time - and its not just the pretty paper (which it makes me very happy of course) but the actual act of taking the time to write and photograph, to remember - such a special time of year. Even more so since having the boys, they grow so quick and things change with such speed - taking the time to use a method which in that moment works for me. The way in which I record has changed and morphed too - from pre children time when I had more "free" time, to now being a busy working mum (who has too many hobbies, trying to loose weight and is on the PTA!) I've changed my aprroach to work with how I live. I've done vairous size in albums. From 8.5x11 pages which were all differnent and created as actual pages. And some of these layouts I love - espcailly the double page spread of being pregant in front of the Christmas tree to holding that baby that was in my belly. Then one year I made a hugh stack of 6x6 pages which were all follwing a simlar format. I cut all papers to size and sat one chilly December with a glass of wine and layered these pages together - I really loved this system. Then in my trying to desperatly record oour life in project life stage I used a simple format of taking my instagram photos - adding test via an app and a stick of washi tape - job is done. It was quick, dirty and simple - and not much journalling but the stories through pictures were there - that true snapshot of the right now in December. Last years approach - i look my much loved 6x6 approach and my quick and dirty projectlife approach and combined the two, These layouts sit right in my album, under the events tab. I love it when flicking through the album and then you get to these Christmas pages. It like when you stumble across a Christmas candle, or a well loved book. They evoke memories. This year I have opted again for Shimelles Chirstmas in a box kit - it has arrived and it is all kind of happiness. I am planing to take part again - As you may have gathered I love it just a little bit. I've planning on creating some Projectlife spreads for the year - but instead of the single page I devote to a week I will make a double page spread - allowing more space for pretty paper - which as standard during the weeks spreads I use very little and focus on the photos. I'm allowing myself more space to write. 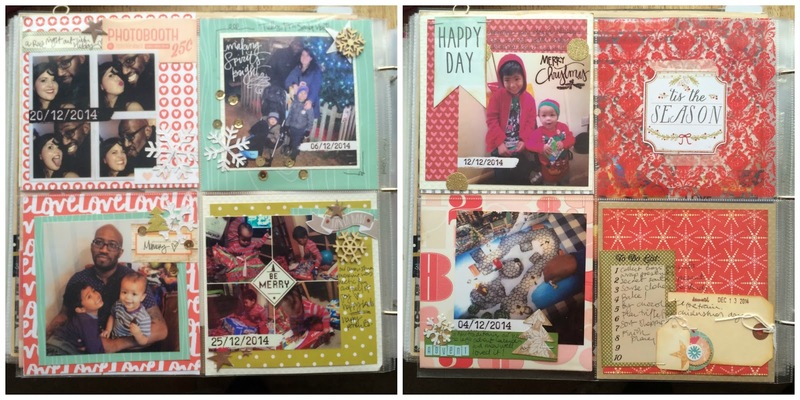 I would also like to then create some pages to add into the 2015 layout album. Maybe more on the 6x6 route - This is a great space to focus on the stories with words whereas the projectlife spreads still allow me to document the everyday life. This is currently the plan, and this may change. I am a seasonal scrapper and as we move into the festive season this is usally when I pull out last years photos to document, it is a process which mainly works for me. I think (as I am an instagram addict) i will be using that a fair bit to - and adding the text and embellishments to the photos is a fun thing also. I will probably be using the Rhona Farrer app - which is a great buy. Also I will not feel disheartened about what I don't record, and celebrate what I do record. Anything is better than nothing. 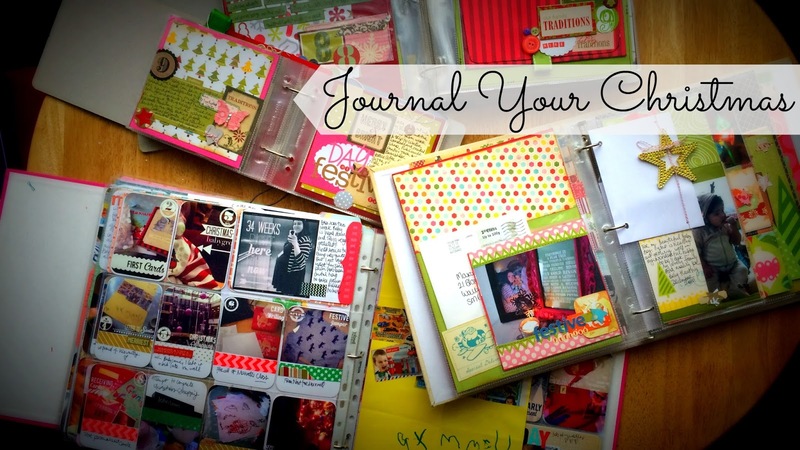 Whichever way you want to do it be it a notebook, to 12x12, to a blog, or a youtube video. Makig time to record your story in a way that works for you - that is more important. Anyone else making plans to record their Christmas? Please do check out Journal Your Christmas - its so much more than a scrapbook ideas class. Its words, its stories, its about making time to find that magic, that spark - for making Christmas more than the things, its about making those memories. 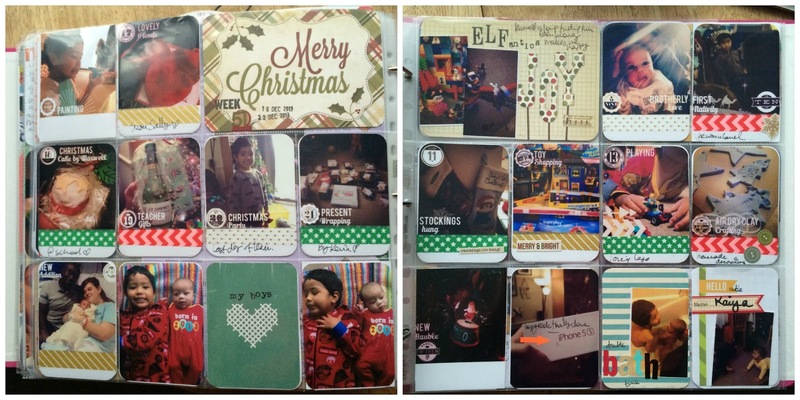 What a great post … I feel the same about documenting the season … so glad that I'm not the only one who hasn't completed a Christmas Journal YET! Hope you will share some of your pages this year. Lovely post and I'll be working with Shimelle again this year as well. I'm a story person more than a picture person, so I love that Shimelle gives me wonderful prompts and I don't have to stress over the photos!